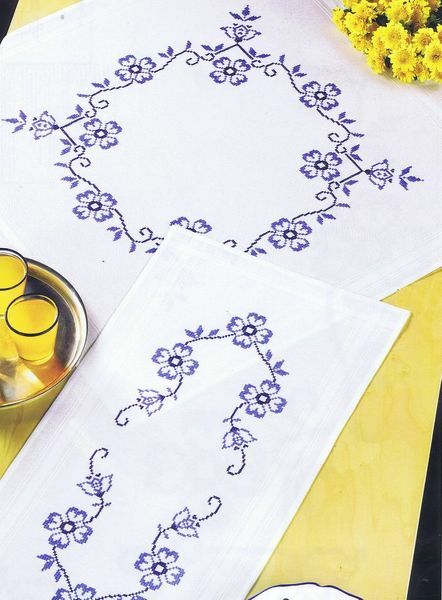 Pretty blue flowers on crisp white table covers. The 100% cotton stamped table covers are hemmed with a deep woven border and hand washable at 40 degrees. The pattern is worked completely in surface cross stitch using two shades of stranded cottons.